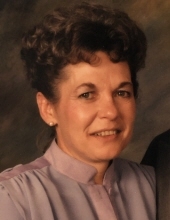 Johanna (Jo) Skillman, Age 85, of Gainesville, Georgia, passed away peacefully on Thursday, March 21, 2019 at the North Georgia Medical Center in Gainesville, Georgia. Arrangements are by Crowell Brothers Funeral Home, Peachtree Corners, Georgia. A private family memorial service will be held in the following weeks at Peachtree Memorial Park in Peachtree Corners, Georgia. A Mass will be held at her home church St. Catherine’s Catholic Church in Redwood Falls, Minnesota. Jo was born August 20, 1933 in Redwood Falls, Minnesota the daughter of Fred Joseph Lechner and Irene Rose (Schweinfurter) Lechner. Growing up, Johanna was baptized and confirmed into faith at St. Catherine’s Catholic Church. She faithfully attended the Catholic Church and was a lifelong member. She attended and graduated Redwood Falls High School in Redwood Falls where she met her future husband. They were both the lead actors in their Senior Class Play “The Beauty and The Beast”. She was married to her high school sweetheart Ronald G. Skillman on June 11, 1955 at St. Catherine’s Catholic Church in Redwood Falls, Minnesota following his honorable discharge from the United States Army. Following high school, Jo began her long career as a Telephone Operator and Supervisor with Northwestern Bell Telephone in Redwood Falls. She worked for the Bell Telephone company her entire career. After marrying, she worked nights to put her husband through college and his Master’s Degree, while caring for her four children during the day. She was one of the Telephone Operators to close down the last of the “Dial 0 for Operator”offices on Lake Avenue, Storm Lake, Iowa office in the early 1980’s. She enjoyed decorating and merchandising; she worked for several department, gift and floral stores following her retirement from Northwestern Bell. In her spare time, Jo enjoyed entertaining. She was a fabulous home cook and hosted most every family holiday in her home. Gardening flowers was a pastime, as well as, crocheting baby clothing and afghans. Jo loved to play Bridge in both women’s and couples card clubs and was active in both Women’s Golf and Couples Leagues. She loved lakefront living, boating and visiting with her many friends. Her final days were spent in the comfort of her home with her loving son Chris faithfully caring for her every need. Those left to cherish her memory are Sons, David (Beth) Skillman, Greg (Kristyn) Skillman, Chris Skillman and Daughter Janna (Alan) Billsby. Grandchildren Heather Slade, David Skillman Jr, Erin Billsby, Drs. Christopher (Brittney) Billsby, Katelyn (Brian) Howell and Jacob Skillman. Great-Granddaughter Briel Slade. Her sister Marguerite (Russell) Tetrick, Redwood Falls, MN and brother Douglas (Aurelia) Lechner, Redwood Falls, MN, numerous nieces and nephews, extended family and cherished friends. Johanna was preceded in death by her parents, Fred and Irene Lechner, her parents-in-law Allan and Marjorie Skillman, her husband Ronald G. Skillman. On-line condolences may be expressed at www.crowellbrothers.com. Arrangements entrusted to Crowell Brothers Funeral Homes & Crematory, 5051 Peachtree Industrial Boulevard, Peachtree Corners, GA 30092. 770-448-5757. To send flowers or a remembrance gift to the family of Johanna Marie Skillman, please visit our Tribute Store. "Email Address" would like to share the life celebration of Johanna Marie Skillman. Click on the "link" to go to share a favorite memory or leave a condolence message for the family.